Money Money ...... Sending Money From My Gmail!!! 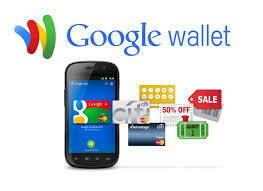 Google Wallet has just come closer to users in US! Wallet extension will now sit right into the Gmail (desktop) version and will allow to send money just like an attachment to the email recipient. Google announced that its has now integrated Google Wallet into Gmail. So what does it mean? y to intended person in the US right from their Gmail inbox. This new feature is for Gmail users over the age of 18 in the US. 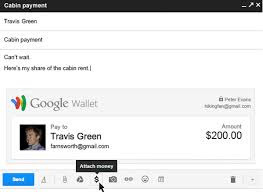 To send money from Gmail, the user needs to hover over the attachment paperclip, click the $ icon to attach money to his message and enter the amount he wishes to send, and press send. from Google Wallet via e-mail. Google also issued APIs, or application programming interfaces, that developers can use to access Google Wallet and make buying stuff within Android apps and on the Web easier for consumers by stream-lining the process and allowing customers to avoid re-entering payment information. And finally, Google has created APIs that developers can use to allow merchants to add easy access to loyalty cards and programs.